James O'Keefe, who is best known for bringing down the community-organizing group ACORN by posing as a pimp, pleaded guilty today to unlawfully entering federal property, but he avoided jail time, according to reports. O'Keefe and three others were arrested earlier this year when they entered the office of Sen. Mary Landrieu (D-La.) disguised as telephone workers, in an alleged attempt to tamper with the senator's phones and determine whether she was ignoring constituents' calls. They were initially arrested on felony charges, but the charges were reduced today to entering a federal building under false pretenses -- a misdemeanor. O'Keefe pleaded guilty and was sentenced to three years of probation, a fine of $1,500 and 100 hours of community service, the New Orleans Times-Picayune reports. "I take full responsibility for our decision to visit Sen. Landrieu's office," O'Keefe reportedly said in court. "I should have used other means" to investigate Landrieu, he added. O'Keefe's accomplices, Stan Dai, Joseph Basel and Robert Flanagan, also pleaded guilty and were reportedly sentenced to two years of probation, a fine of $1,500 and 75 hours of community service during their first year of probation. Magistrate Judge Daniel Knowles III repeatedly told the young men that they need to learn "where to draw a line" as aspiring investigative journalists, the Times-Picayune reports. 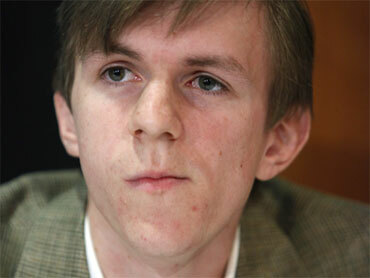 O'Keefe said he will soon release the results of another investigation, according to the Associated Press. The 25-year-old O'Keefe gained notoriety in the conservative community last year when he released a series of videos showing ACORN employees offering advice to O'Keefe and a friend that seemed to endorse trafficking in children, among other illegal activities.